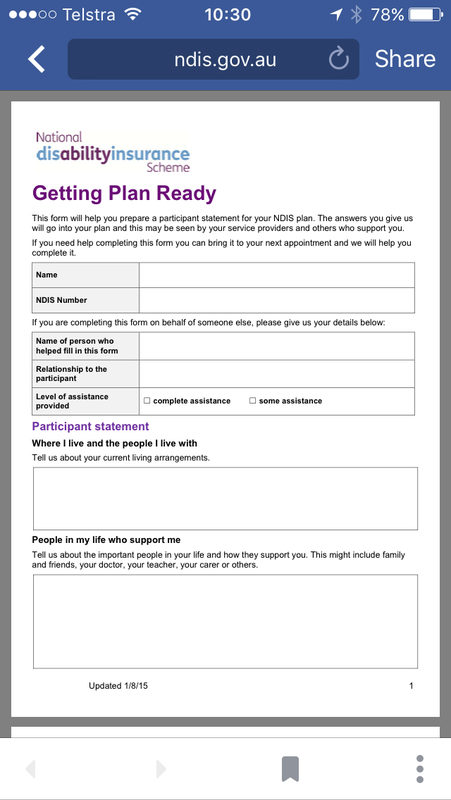 The Getting Plan Ready form (available for download on this page) will help you prepare a participant statement for your NDIS plan. The answers you give will go into your NDIS plan. If you need help completing this form you can bring it to your next appointment and we will help you complete it. Your NDIS plan may be seen by your service providers and others who support you. Read about sharing your NDIS plan with your service providers.